Anyone local to Stoke on Trent, Newcastle Under Lyme or Staffordshire will already be aware that independent eateries are kind of few and far between. Although, to be fair, Hanley and ‘Castle have both seen a small uplift in the range of places to eat in the last few months, Not only do we have Klay Pizza and the new RAWR café, but we also have Capello Lounge, located in the heart of Newcastle. I’ve been to Capello Lounge before; for breakfast and for cocktails (not on the same occasion I will add), and each time it was lovely. The bar itself is decorated with such shabby chic style my 21 year old self would have loved it. My taste for my home is a little more… minimal nowadays. But I do love the aesthetic of the place all the same. Not only does it look wonderful, but they also have an open door policy for dogs. Granted, it would be better if I could take my cat Kitty in with me, but she’d probably drink me under the table anyway. I went the other day with Ginger Girl Says (known in real life as Charl), for a quick eat-up after work. I was fairly excited as I was building up to the main event (the food) throughout the day. On the menu they offer a range of lunch time and evening specials, alongside the main food menu. 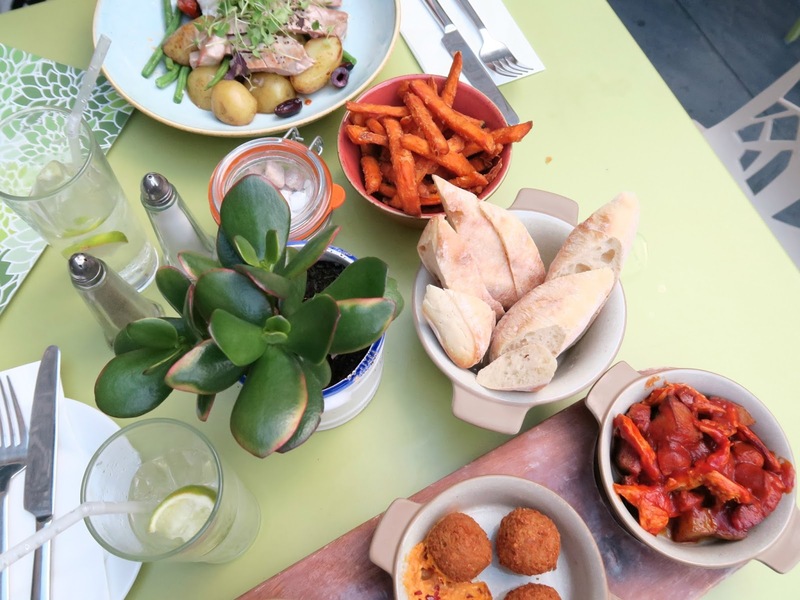 They also have a Gluten Free and Vegan Menu for any of those types who are in to that kinda thing too…. Dogs, vegans, cocktails…. this place has it covered. For my meal on this occasion I opted for the Tapas. It was around £10 for 3 dishes and a glass of wine, which isn’t too bad a price! The food is always delicious, no matter what your tastes really. From these little tapas dishes, through to brunch, I can’t think of a meal at Capello which has been bad! With quick service to boot, it really is perfect for a mid-week meal where you’re really just going to catch up on the juicy gossip. With this in mind, out of all the occasions I have visited Capello Lounge now, I would favor the Breakfast trips as the most successful. If you’re ever in the area it’s worth popping along for the decor and a coffee alone, but you also must give the whole menu a try! Previous Post Is The Urban Decay All Nighter Foundation Any Good?